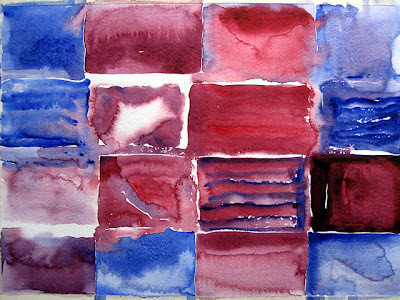 Backflow in watercolor is the result of an intrusion from one area of wet paint into another. Backflow could create an attractive marbled effect or it could spoil a painting. Usually backflow comes as an accident – unwanted. 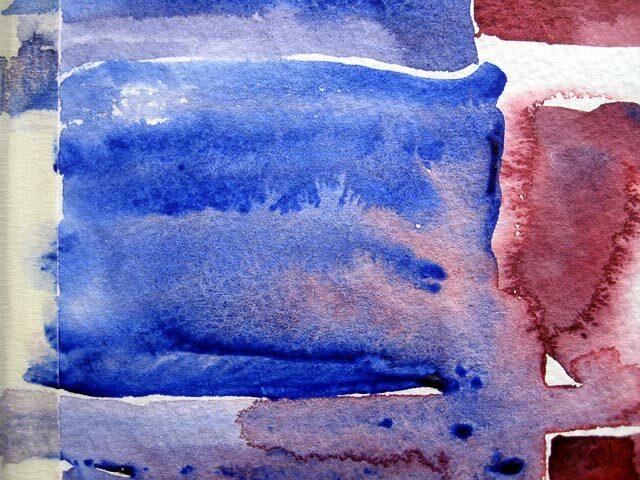 However, if I interfere it’s not an accident any more, it is an experiment, and in today’s painting I deliberately set up the conditions for backflow to occur. The extent of backflow is a function of how quick I am to intervene to prevent "ruin", or how long I am prepared to wait to see what develops. Today I waited. I had to let the entire backflow effect happen on its own. Whether I accept the random results depends on how spontaneous or how controlling I want to be, with the painting or with myself.